There is no formula for anything going viral. You don’t know what catches the imagination of the public. Some might say it is due to the elements of what is trending or a song has foot tapping beats and a catchy tune. But then there are so many popular songs that have not gone viral. Remember, some years back the Tamil song ‘Kolaveri Di’ had become a rage and a viral phenomenon. It had nonsensical lyrics bordering on the absurd but went viral all over the world. The new viral phenomenon is the Malayalam song ‘Jimmiki Kammal’. ‘Jimikki Kammal’, a trippy song from Malayalee Super star Mohanlal’s recent Onam release, ‘Velipadinte Pusthakam’ has reached even Hollywood. 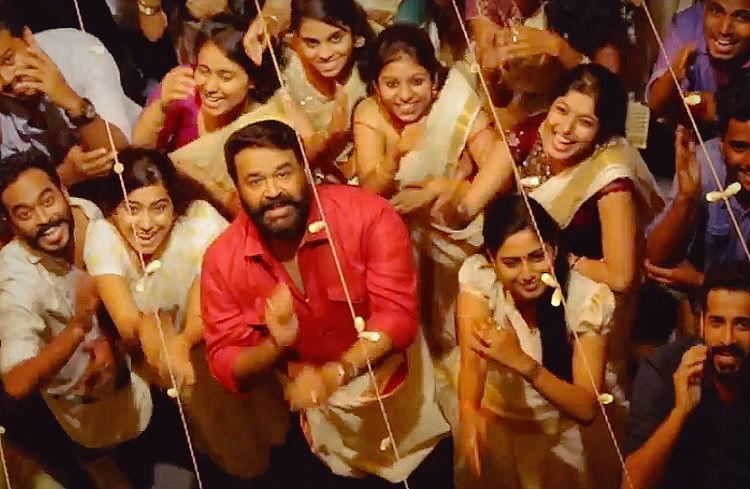 While the movie banks on Mohanlal for its box office collection, the song has gone viral and has broken quite a few records. On the last count it had exceeded 35 million views on YouTube. Entammede Jimikki Kammal (My mother’s jhumka) is the song that has got everyone grooving. And while the lyrics may have nothing to do with TV Host Jimmy Kimmel or his name, people somehow have made a rather strange connection. While the video was doing the rounds in social media, someone mentioned Late Show Host Jimmy Kimmel in a tweet and much to the surprise of everyone, he replied to the tweet, stating that he hadn’t seen the video until now and he loves it. The tweet was indeed hinting about the similarity between the title of the song as the TV host’s name but Kimmel’s response has floored the fans of the song. And if Kimmel’s tweet wasn’t enough, college students made it popular by taking the Jimikki Kammal challenge and grooving to the song. My mother drank up my father’s brandy bottle. While everyone involved in the creative process is thrilled with the huge success of the song, with Vineeth Sreenivasan’s voice and Shaan Rahman’s composition, the song was destined for path-breaking viral success.